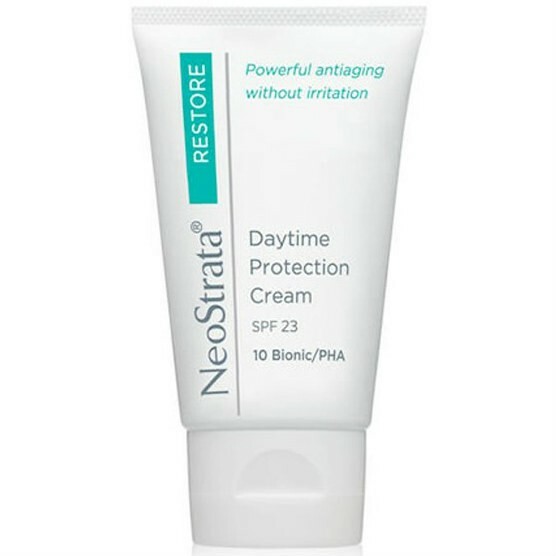 This lightweight, non-greasy daytime moisturiser both reduces visible signs of ageing and helps protect against further damage to the skin. Gluconolactone restores and strengthens the skin’s protective barrier, helping to calm irritated skin and reduce redness, while broad spectrum sunscreen defends against future photo damage. Potent antioxidants, Gluconolactone and Lactobionic Acid scavenge harmful free radicals and inhibit elastase to help promote youthful skin and elasticity. Oil-free, fragrance-free, PABA-free. Non-comedogenic, non-acnegenic. Formulated with 8% Gluconolactone, 2% Lactobionic Acid and Vitamin E.